Hey Happy Coffee puts a smile on my face period. This single-cup service of robust coffee is located in Downtown Victoria at 560 Johnson Street. I’m happy to see a new wave of boutique cafes instead of chains that boast “serious coffee”. 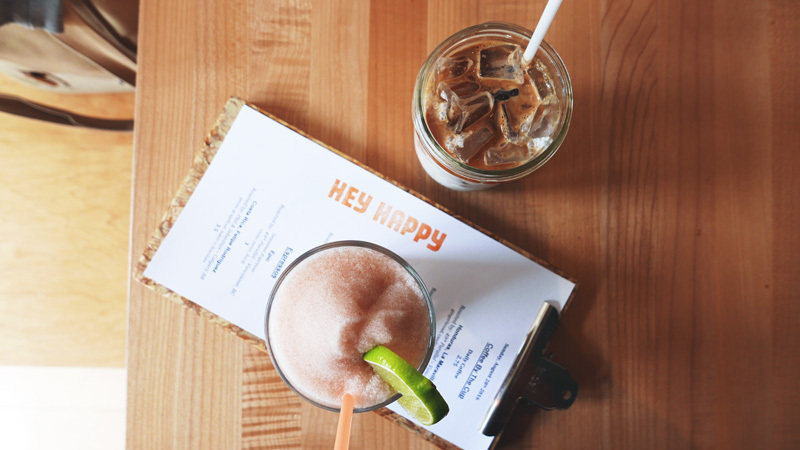 Owner Rob Kettner coined the cafe Hey Happy Coffee after Indie film Hey, Happy. There are a few seating booths and a bright naturally lit space in the front. A bright splash of lime green on the wall highlights the menu and an old record player. For coffee lovers, Hey Happy offers a rotating fresh sheet. 21 grams of coffee to 325 grams of water for each single brew pour over a Chemex. There is a method to this madness. There is a science to good tasting coffee. Stocklist and coffee beans includes Phil & Sebastian (Calgary), Heart (Portland), etc. Regardless one sip of their coconut milk iced latte and you will be converted too! Still not convinced? 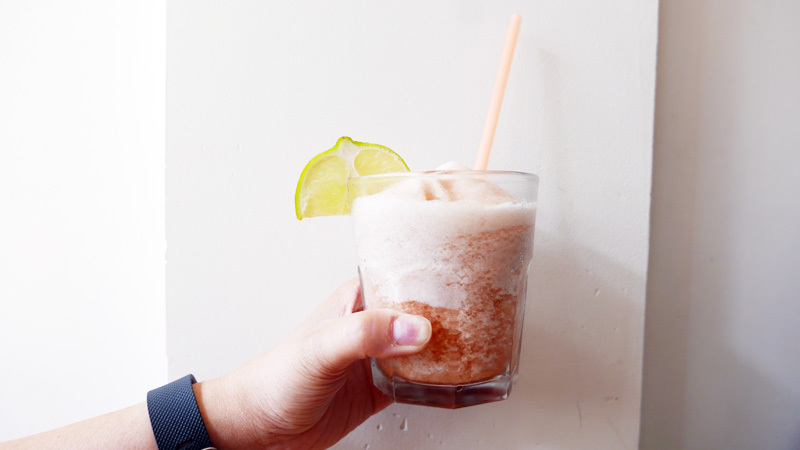 Cascara Slushee, Mint Julep coffee cocktail and chilled bottle coffee makes your standard iced Americano cry. 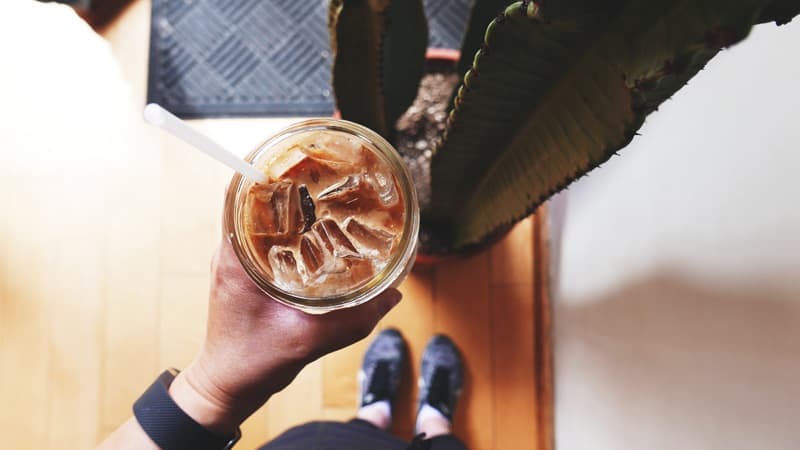 But first, let’s talk about their coconut milk iced latte. Most “coconut milk” anything is thin and watery. Instead HH’s version is creamy, rich and ultra smooth. The coconut milk itself gives it that splash of sweetness. Now that’s five bucks I’m happy to pay for! Nitro Cold Brew: Smooth and crisp like beer. Super refreshing on dog days of summer. Does your coffee make you happy?